The Regional FTC Championship for North Texas will be held on February 10, 2018, at Wylie East High School in Wylie, Texas. Forty-eight teams will be competing for awards and a chance to attend the FTC South Super Regional Championship on March 8-10 Athens, Georgia. – REQUESTED: Anyone have a practice field they can bring? If anyone has an extra field they can bring on Saturday to be used as practice field, that would be a big help. (We have five fields already — four competition and one practice — but really want a sixth.) Drop me an email note if this can be you. Alternatively, if anyone can bring a full field of game elements but can’t bring the border walls/tiles, let us know that and I can likely get a set of walls+tiles there to be used. The teams have been divided into two divisions: “Ruby” and “Sapphire”. Each division contains 24 teams as generated by Dave Davis, our Associate FTC Affiliate Partner for North Texas. A list of team division assignments is here. Each division will run a 24-team tournament with 5 qualification rounds and elimination rounds to produce a Division Winning Alliance, just like at a normal qualifying tournament. The two Division Winning Alliances will then compete to determine the Championship Winning Alliance and Championship Finalist Alliances for the North Texas FTC Regional Championship. All 48 teams will be competing for the same set of judged awards. Seven teams will advance from this championship to the South Super Regional FTC Championship being held March 8-10 in Athens, Georgia. Wylie East High School is at 3000 Wylie East Drive in Wylie, Texas. Maps and parking directions are attached. Doors will open to teams around 7:30am, with judging and inspections starting as early as 8:15am. When the team arrives, please have a coach or mentor representative come to the primary entrance and go to the team check-in table. All teams are required to bring a completed FIRST roster (available via the FIRST Dashboard) showing that all members have Consent/Release forms on file with FIRST. If there are any members without electronically filed release forms, be sure to bring a printed copy with you (also available via the Dashboard). Anyone not having the Consent/Release form will not be allowed to participate in the competition. At check-in your team representative will receive a packet containing any updates for the day and your team can proceed to one of the pit areas. Each division will have its own pit-area gymnasium with a practice field. Remember that safety glasses are REQUIRED FOR EVERYONE in the pit areas. All teams can enter and load-in through the primary entrance to the athletics wing; we may also have side doors open for loading/unloading directly equipment into the pit area gyms. The parking map shows the side gymnasium entrances (and parking nearby to those entrances). We will provide pizza lunch (mix of pepperoni, sausage, cheese pizzas) and bottled water for all teams and coaches. We also expect to have some concessions available for purchase as well. Food and drinks will not be allowed in the pit areas or competition gymnasium. – Improper power switch (<RE01>). In particular, the power switch that is built-in to the Modern Robotics Core Power Distribution Module is *not* legal as a power switch in this season’s game and will not be accepted at the championship. The only switches permitted are those from TETRIX, MATRIX, or REV Robotics. – Incorrect or mismatched software versions (<RS02> and <RS07>). The minimum required software version is 3.3, and the Driver Station and Robot Controller phones must be using the same version of the software. – Improper Android Devices (<RS03>). The only allowed Android devices are those listed in <RS03>. We are likely to enforce this requirement more strictly, as the use of unapproved devices has been known to be a factor at previous events. – Wi-Fi Direct Channel Changing App on ZTE Robot Controller phones (<RS09>). – Improper or missing team numbers on the sides of robots (<RG05>). Team numbers must be 2.5″ high, at least 0.5″ stroke width, a contrasting color from their background, and visible from at least two opposite sides of the Robot. – No Alliance Flag Holder (<RG04>). Alliance Flag holders must be mounted at the TOP of the robot and the flag clearly visible throughout the match — it cannot be buried inside the middle of the robot. We highly recommend that teams self-evaluate using the official Robot Inspection and Field Inspection checklists available at the FIRST website before arriving at the competition. For those school teams that are a part of UIL, don’t forget that your season may continue even after this one! 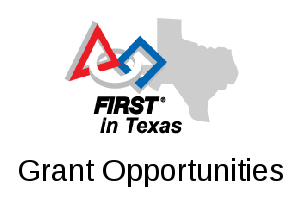 The top UIL-eligible teams from this event will be invited to compete at the Texas FTC UIL Robotics State Championship on May 18-19 in Austin. Save the dates. And for those teams coming from private and parochial schools aligned with TAPPS (Texas Association of Private and Parochial Schools), you may similarly be getting an invitation to the FTC TAPPS Championship scheduled for May 12 in Waco. Also save the dates. So regardless of what happens this Saturday, keep in mind that there may be more statewide championship and off-season events coming up later this year! Best of luck to everyone at the championship — we look forward to a great tournament!